Every three weeks, members of Lingraphica's User Group in Princeton meet to share their latest adventures and news, learn how to use Lingraphica's technology, and enjoy the company of others who have aphasia. When staff members proposed a "field trip" instead of a regular meeting, the group was more than ready to go! The only question was: What should we do? 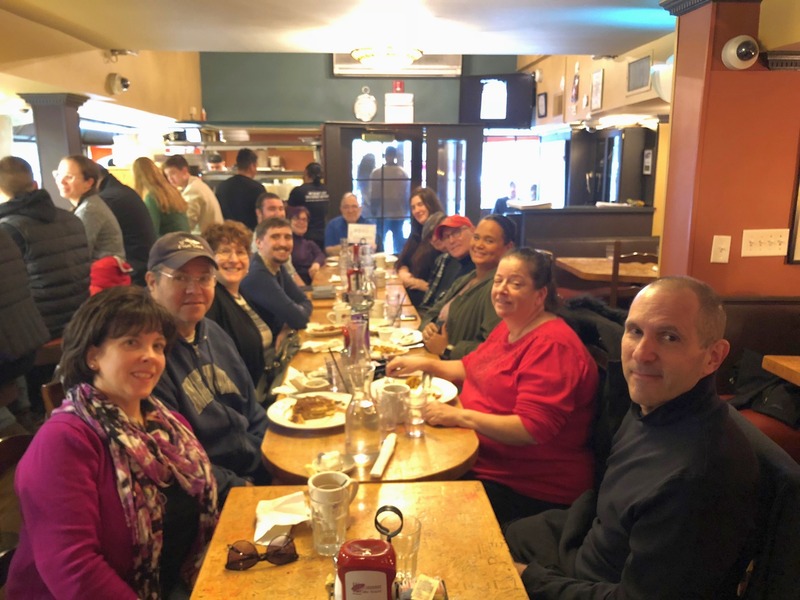 After exchanging ideas and voting over email, the Princeton group decided to enjoy a tummy-pleasing breakfast together at PJ's Pancake House in downtown Princeton. Members enjoyed a variety of specialty pancakes, Belgian waffles, omelettes and variations of eggs, and more. But this was just the warm up for the rest of the morning. 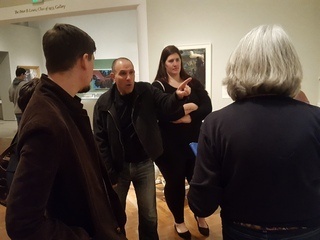 Following the meal, the group walked across the street to the Princeton University campus for a guided tour of the university art museum. The visit was a first for all but one attendee (Lingraphica's CEO), so the group had a lot to take in. 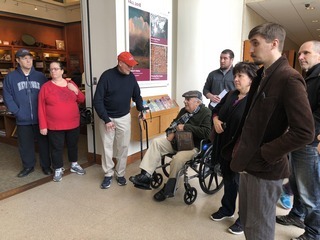 Two museum docents split our group of 17 into two: one group began viewing the American Art gallery while the other learned about European Impressionism. 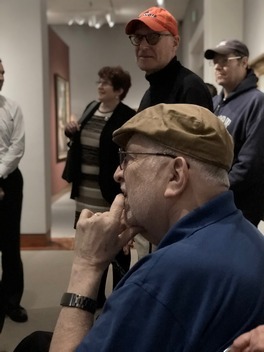 Our members with aphasia were fascinated by the artwork they saw, answered questions posed by the docents, and commented on how much they enjoyed the outing. The User Group in Princeton loves to engage with others who have aphasia. If you belong to an aphasia support group and would like to connect with the group in Princeton or are looking for some new ideas and tools for your group, click the link below to visit our Tools for Aphasia Support Groups page of our website.